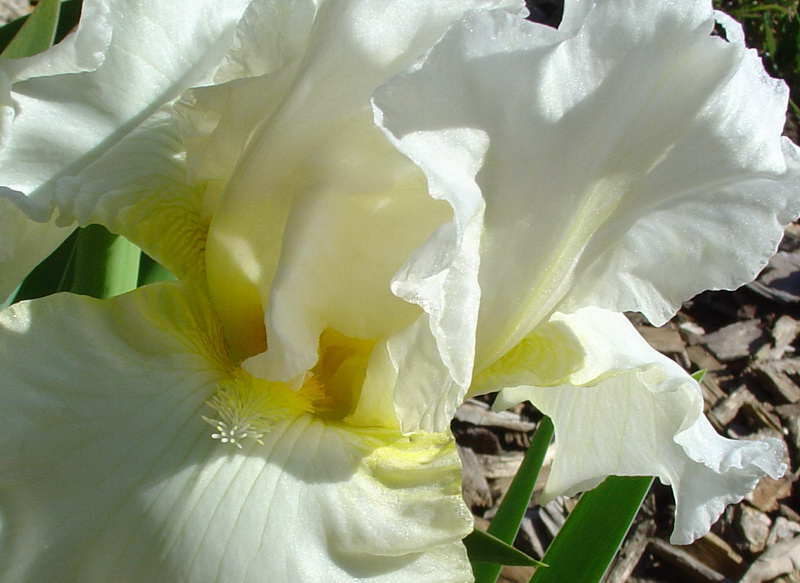 Irises are one of my favorite subjects for a watercolor flower painting. Their delicate shapes and bright colors make them a pleasure to painting with watercolors. The reference photo below is of a flower I grow in my garden. I specifically planted it and a darker version with watercolor painting in mind. 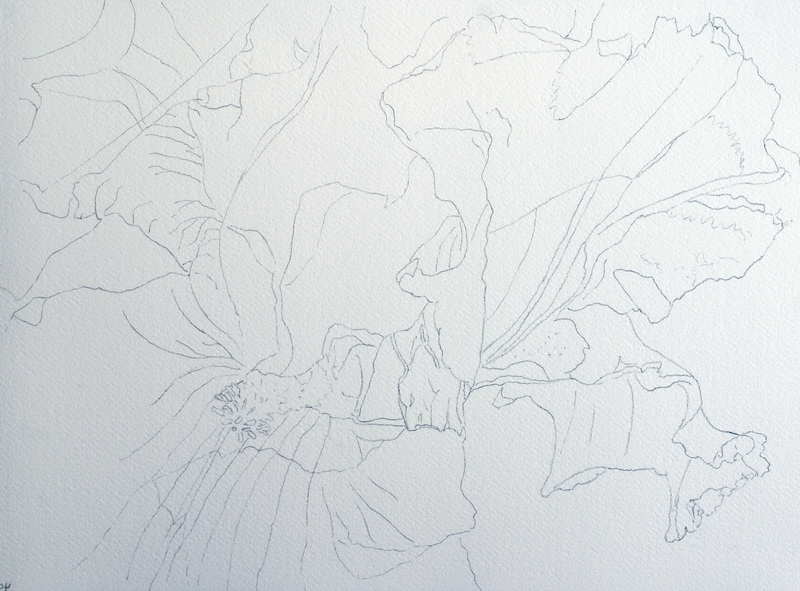 Do a detailed drawing of flower on tracing paper then transfer to your cold pressed (medium) watercolour paper. By doing the drawing on tracing paper first you can modify and erase to your hearts content without damaging your watercolour paper. It also has a secondary benefit of freeing your work up because if you mess up your first attempt at painting this it is an easy matter to transfer you’re the drawing onto another sheet for a second attempt. When you transfer your drawing to the watercolour paper make sure you do not press hard or else the lines will be too obvious in your final painting.